This class is made up of fun movement to upbeat music, plus light weights and resistance stretches. Classes are based on functional activities like climbing stairs, sitting down, standing up, or lifting grocery bags. As people age sometimes even routine tasks can become a challenge, so fitness must become consistent and functional. The option for low-impact or high-impact movement is available. A breath-synchronized yoga class that uses gentle movement to warm the body, reminders of the basics of alignment to protect the student from injury and awareness of breath combined with asanas to create a smooth flowing and focused practice. This class emphasizes increasing mobility, strength, and range of motion while maintaining a focus placed on alignment and depth. The breath is used to create a flow between asanas. Using an aerial hammock, we'll explore movement from a whole different perspective! Prepare to strengthen, stretch and soar in this 75-minute class. An open level vinyasa class that begins with challenging poses, working towards a peak pose or flow, and winding down with gentle restorative movements. Perfecting your Sun Salutation poses and introducing specially selected new poses into your practice. Engage your abdominal muscles with core yoga poses. Tone and build core strength, and work on your flexibility. Our classes include a synthesis of yoga styles suited for every level of practice from the 1st time student to those who already incorporate yoga in their daily or weekly wellness practice. Expect to be rejuvenated physically, mentally and spiritually. You must email to register for class. Learn and Practice Principles of Alignment with a heart~oriented spiritual philosophy that will bring new understanding to your yoga practice as you enjoy the combination of slow flow, breath and holding poses. In this deceptively challenging class, sacred space is created for students to experience the infinite potential for self-discovery, transformation, and growth. Each class is adapted to the needs of the students present, offering modifications and variations in a safe supportive atmosphere. regardless of experience there is always something new to discover on the mat. A slower paced class. Good for beginners or those recovering from injuries. When you have a beginner’s mind the world is full of possibilities, there is no pressure to know it already or to do it right, and curiosity comes out to play and lead the way. This class explores a slow flow through a sequence of traditional and modified postures. Questions are welcome and alignment is given as needed. The synchronization of breath and movement will increase body awareness and your experience of presence. You will build heat, muscle, flexibility, and a sanctuary. 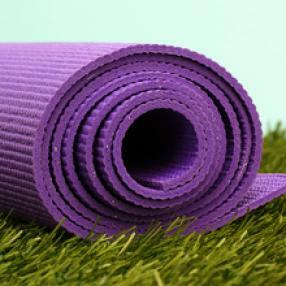 Yoga therapeutics is specially suited for students with injuries, but it is open to all. The emphasis is on the coordination of movement with breath and adapting the poses to suit the individual. 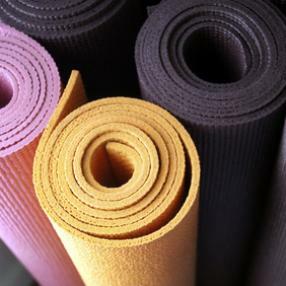 In this class, students can delve deeper into the therapeutic benefits of a yoga practice. Poses are broken down to different levels allowing students to practice at their own pace. The class wraps around empowering themes allowing students to feel the benefits of the poses physically, mentally and spiritually. Supported postures using props and blankets for deep muscle release and relaxation. NOTE: This class is offered on the second & fourth Friday of every month. 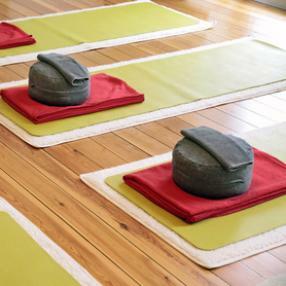 This class will offer practitioners the perfect combination to de-stress and unwind. We begin with gentle, restorative stretches leading into a guided meditation. Yogic philosophy tidbits will be woven into the class and contemplated while in meditation leading to an experience of deep relaxation and a deeper understanding of self. You are perfect just the way you are. In contentment yoga we focus on getting in touch with that place of indestructible well being that resides in all of us. We offer a unique blend of hatha yoga combined with insights from positive psychology and philosophy to help build wellness into your life. This style is designed for practitioners who are looking for the perfect workout to strip away the stress at the end of a busy week and start the weekend out right.